My WIP Basket - monemades Webseite! 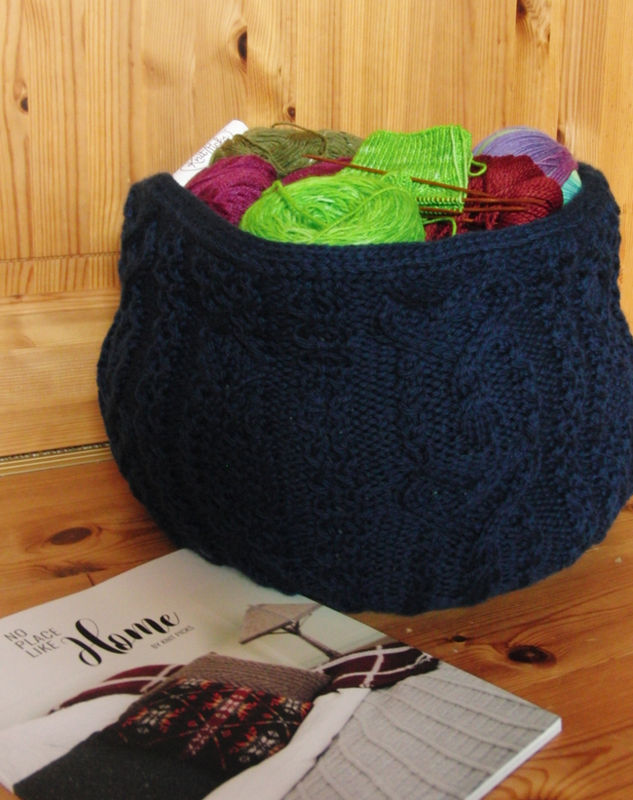 Today I received my copy of No Place Like Home and that made me realize that I told you about the pattern, but that I haven't shown you my WIP basket yet. Here it is. I worked the biggest size with an external diameter of 13" and it's roomy enough for even a sweater project in thicker yarn. I used Knit Picks Wool of the Andes Bulky in Navy for the outer basket and Knit Picks Wool of the Andes Worsted in Opal Heather for the inner basket. I also added interfacing between the two baskets, because with the bigger sizes the baskets might be not stable enough without some kind of stabilizer.